Faulty Takata airbag inflators are linked to 18 deaths and 180 injuries globally, but none in Canada. Troubled Japan-based airbag supplier Takata Corp. may have filed for bankruptcy, but the effort to repair the 5.3 million Canadian vehicles recalled as a result of its faulty airbags is far from over. Takata filed for bankruptcy in June and agreed to sell “substantially all” of its global assets and operations to U.S. supplier Key Safety Systems for $2.06 billion (US $1.59 billion). The bankruptcy filing comes as the result of a massive recall scandal surrounding its ammonium nitrate airbag inflators, which could explode in certain humid climates and are linked to 18 deaths and 180 injuries globally. Transport Canada said it is unaware of any incidents in the country related to the faulty airbags, and therefore it is unaware of any Canadian fatalities or injuries related to them. Still, the recall has proven costly for automakers’ operations in Canada and for Canadian dealers. 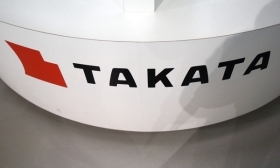 The remaining vehicles are subject to “voluntary service actions tied to Takata, which are not reported to Transport Canada,” spokesman Clay Cervoni said in an email. On top of the recall’s voluntary nature, its sheer size is proving problematic for the industry. Suppliers worldwide must build millions of inflators to replace the tens of millions of inflators in recalled vehicles worldwide, on top of their regular output for new-vehicle production. The result is a worldwide backlog of vehicles that must wait to get repairs while dealers wait for replacement parts. It is a problem that is affecting Canada especially so, since emphasis is being put on first replacing airbag inflators in warmer, more humid regions such as the southern United States. “The shortage of vehicle parts subject to recall is an ongoing problem for dealers and consumers in Canada,” said Canadian Automobile Dealers Association (CADA) Chief Economist Michael Hatch. “It further highlights the need for federal recall legislation that ensures prompt part replacement to help relieve the significant financial burden on dealers that are stuck with inventory when necessary parts are unavailable. CADA lobbied the Senate earlier this year to amend Bill S-2, which passed the chamber in February, to include “modest compensation” from automakers for dealers who are unable to sell vehicles due to open recalls. The bill, which would also grant authority to the federal minister of transport to prohibit sales of vehicles under recall, has yet to pass the House of Commons. In the meantime, automakers say they are doing what they can to get affected Canadian vehicle owners into dealerships to make repairs. For instance, Honda Canada, which has issued recalls for 1.26 million vehicles related to Takata, has worked to notify affected customers via social media, phone calls and emails through a third party and door-to-door canvassing, among other methods, spokeswoman Laura Heasman said in an email. “Parts supply is being monitored, and the recalls are being conducted according to priorities determined by the level of risk associated with the involved vehicles, including vehicle age and long-term exposure to high absolute humidity, high temperatures and high temperature cycling,” he said. Repair rates have proven to be slow south of the border, as well. The U.S. National Highway Traffic Safety Administration said in June that all but five of the 19 automakers impacted by the recall have repair completion rates of under 30 per cent.